From the Western-infused opening of Wild Arms to the vocalized battles of the Persona series, music is an essential element to any great RPG. For our upcoming PS4 and Vita RPG, Cosmic Star Heroine, we knew we needed an amazing soundtrack — so we teamed up with Hyperduck Soundworks (Dust: An Elysian Tail, Penny Arcade’s On the Rain-Slick Precipice of Darkness 4, Kingdom Rush: Frontiers). Here to tell you a bit about the composing process is Chris Geehan from Hyperduck. Chris Geehan: For the Cosmic Star Heroine soundtrack, we initially wanted to harness our own personal love for 80’s and 90’s film, game, and anime music, going from the Blade Runner soundtrack scored by Vangelis, to the Lethal Weapon soundtracks scored by Michael Kamen, David Sanborn (Saxophone), and Eric Clapton (Guitar), from the Grandia soundtrack scored by Noriyuki Iwadare, to the anime soundtrack of Bleach scored by Shirō Sagisu. The list just kept growing, bigger and bigger, and the influences are indeed vast. Having such a large scope for music styles and influences is an exciting thing, and takes a lot of care and consideration to make sure that while you may go from sci-fi jazz funk to robotic rock military marches, you still keep a cohesive value throughout, and every song that has its moment, deserves it. I think I’ve been preparing myself for a soundtrack like Cosmic Star Heroine for a long time, building up a collection of hardware synths (Roland D550, Roland JV2080, KORG Triton, KORG M3M and a few others), so it feels great to finally scratch that itch so to speak, in regards to getting to write a soundtrack with all these influences — and in this fantastic future-world Robert and Bill are building. All the horn sounds are from sample libraries and a lot of work went into trying to make them sound as realistic as possible. The overall result was sci-funk; a blend of short horn phrases, funky mute guitar, upbeat drums and percussion, groovin’ bass, and a whole lotta synth. Initially we wrote the song without the synthetic layers in it, and realized that it needed something to connect it to this world that was essentially an imagining of the future from a 80’s perspective. 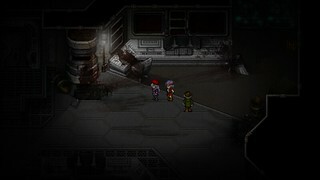 After that we found it blended right into the sound palette and the visual palette of Cosmic Star Heroine. I’ve shared a few more themes below, and I could talk about them all day, but for now you’ll just have to enjoy them! Cosmic Star Heroine will be at Playstation Experience so be sure to stop by our booth and check it out! By the sound of these clips, I have to say that if nothing else, this game will have an awesome soundtrack! I loved Dust: an Elysian Tail (listening to the soundtrack right now, ‘The Land of Remembrance’, so good). Anything by Hyperduck Soundworks = a great set of tracks to listen in (and outside of) the game! We’re friends with Dean Dodrill (the creator of Dust: An Elysian Tail) and he’s actually the person who first introduced us to Hyperduck and recommended that we team up with them. We’re glad we did! Love the music. Still get the battle theme stuck in my head after listening to it a couple if times. Can’t wait to see the video. Possibly the sleeper hit of PS Exp? Although I try to hype the game on gfaqs so there’s at least a small audience waiting for the game. Not my type of game but I wish you all the best. Always good to see cross titles. So excited for this! Phantasy Star IV is one of my favorite games of all time, and this feels like it takes some inspiration from that game, especially the character thumbnail shots. That Spy Theme is just fantastic. My rule of thumb is you can usually guess the game’s quality from it’s soundtrack and if this much care went into your soundtrack I can only imagine the gameplay itself. Looking forward to it’s release! This game looks right up my alley. Day 1 purchase for me for sure. Any news on an estimated PS4/Vita release date? My web searches are bringing up December 2014 for PC but nothing on Playstation I have found. The current estimate is “Sometime in 2015.” Hopefully, we’ll have something more definite in a couple of months. Also, is there any chance you will port any of your older RPGs to Playstation systems? I’d be interested in pretty much every game on your kickstarter page for this game if they were released for PS4/Vita. Since the Penny Arcade games are part of a larger series & we don’t own the IP ourselves, it’s highly unlikely that we’ll be porting them anywhere else. As far as Breath of Death VII & Cthulhu Saves the World goes, we’ve talked about porting them to Playstation systems, but decided that the game are old enough and the code different enough from our current engine that porting would be a high effort, low reward activity. If we did do something with them, we’d probably end up remaking them, but for the time being, we think our time can be better spent making brand new games rather than revisiting our older titles. The music sounds really nice. I look forward to checking this game out when it releases. I wanted to ask if you guys would consider on making “Dynamic Themes” and “Avatar Pictures” for the PS4. Your game would look cool displayed on everyone’s PS4. P.S. Please keep posting info on the PS Blog as your game gets closer to launch, thanks. 15-25 hours is the perfect length for an indie RPG. I’ve found that many games that are 40+ hours definitely overstay their welcome, and are full of padding to get them to that length. Definitely looking forward to something I can finish in one week. I love the horn arrangement, it sounds great. It’s amazing what a good stereo delay and room reverb can do to give a synth sound “presence”. If anything, it’s the drums that sound a bit anemic — will those be replaced (at least partially) with live drums in the final mix? Maybe it’s the SoundCloud encode, but it’s missing a lot of dynamic range and low-end IMO. PS: Thanks for sticking to your guns on the heroine aspect of the game and title. It’s great to see indie developers with a backbone :) Hopefully the game includes people of color and GLBT characters as well. Have to look at this one more, but I didn’t mind backtracking and playiing Growlanser, so count me in for interested. Maybe burnt out myself, but might have one more in me. Just an older gamer, so harder to please. But then again, I can still play something other than COD. Maybe you want to keep the surprise, but I wonder if you and Sony will release some trailer or video for the game next month ? We’re planning on sharing some video footage of the game sometime after the Playstation Experience so people who were unable to attend can see it. -Zeboyd Games said there will be a mini game or 2 to break up the action. -PC’s build up in combat to a “super attack” adding a strategical layer to combat. -Battles are less frequent but take longer. -Status ailments will play a large role. Don’t expect to button mash. 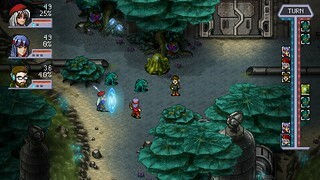 -Enemies can build a resistance to certain status ailments if overused. -If a PC is cured too much they might get fatigued. @Robert-Is the charged up shield thing still in? The shield charge system that was discussed a while ago isn’t still in. Instead, there’s now a desperation mode which allows you to survive a mortal hit long enough to make one more move. As of right now, the score is 97-3. Yikes. No physical release, no sale. Clearly the PS3 couldn’t possibly handle the enormous processing requirements of this game. After all, the PS3 is only capable of handling the mere trivial levels of data and scene complexity such as those in such mediocre low-rez, low-poly pixellation-fests as GTA5, Call of Duty, Destiny, Far Cry, Crysis, Battlefield, Little Big Planet, Grid, Last of Us, Rage, LA Noire, Bioshock, DmC, etc… None of that even comes close to this game. It’s no wonder the PS3 had to be omitted even if such simplistic, PS1-level games like Assassin’s Creed, Call of Duty, Little Big Planet… are still being put out on the clearly incapable PS3. Unfortunately, sales of indie games like ours have fallen drastically on the last generation of consoles in the past year or two and are likely to drop even further as more and more people buy a PS4. Since we’ve never made a PS3 game before, it doesn’t make much sense to spend our limited resources on learning to develop for the PS3 just for this one game. @Abscissa – It’s a good point. Particularly given the huge install base for the PS3. Problem is the game is being made with the Unity engine and I don’t believe the PS3 supports Unity. The ball is in Sony’s court on that one and I doubt we will see such a drastic change unfortunately. A) the people who buy the most games tend to be early adopters of hardware and so they already have a PS4 or plan to get one in the near future. B) there’s already a huge library of games to match that huge PS3 install base so there’s lots of competition. Zeboyd Games is a two-man operation so we can’t afford to support every platform out there. Luckily, we are supporting both the PS4 and Vita, both of which are awesome platforms. @Robert Boyd: Although I remain unconvinced about the difficulty (depending on the engine involved) and futility of PS3, I do very much appreciate the response and explanation. And keep in mind, it’s more the general trend of so many indies abandoning PS3 (even before the big “mainstream” studios) that bothers me, I don’t mean to pick on your game in particular. It does look good, as do many of the indie games coming out on Sony platforms lately. + plaztiksyke Hi there! Chris Geehan here; I’m one of the two composers from HyperDuck SoundWorks. Just wanted to say thanks for your kind words and honest opinions based on the track. We were intentionally going for a particular sound with that kit player, I’m guessing by anemic you mean weak? It could be the soundcloud encode sure, just keep in mind these are not final mixes. 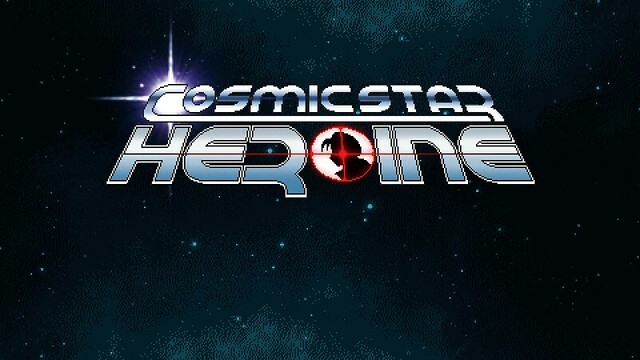 Everything will get a proper bit of attention at the end of the line before Cosmic Star Heroine ships as a game and a soundtrack. Can’t wait to give my money to you guys. The musics sounds really fantastic that i want to hear for hours. @abscissa – that’s interesting maybe PS3 does support Unity. I’m on Kickstarter on a daily basis and any time I see a game that looks good I email the Dev to ask about Sony systems. Every time they say they are making the game with Unity they always mention ps4/vita. Guess I made an incorrect assumption. @Chris – Frozen Synapse has a soundtrack bundle on psn. You should look into selling the soundtrack or bundling it for a few extra dollars. The music is good enough that I think it would sell quite well. I am hyped; approximately when will the game be released? Thanks for bringing it to the Vita as well! It was supposed to release Dec 2014 but they pushed it back into 2015. One of the KS updates said they are working a lot on attack animations so it sounds like the wait will be worth it.